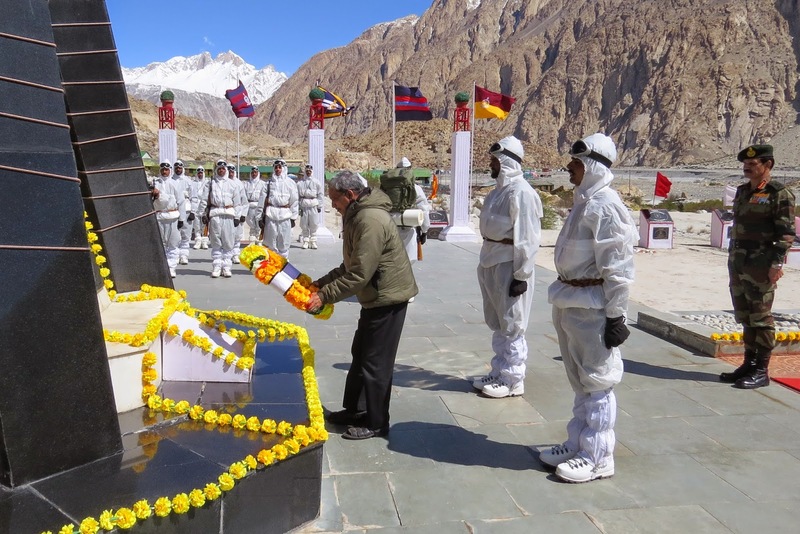 The Honorable Raksha Mantri Shri Manohar Parrikar visited the Siachen Glacier today. 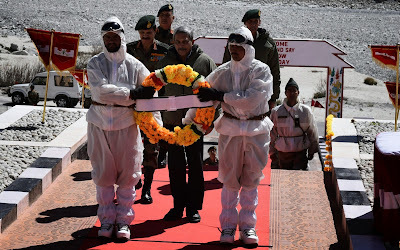 He was accompanied by Gen Dalbir Singh, COAS and was received at the Siachen Glacier Base Camp by Army Commander Northern Command and General Officer Commanding Fire and Fury Corps. The Raksha Mantri carried out an aerial survey of the Siachen Glacier and on reaching the Siachen Base Camp laid a floral wreath paying tribute to the martyrs at the Siachen War memorial . He addressed the troops and applauded their efforts for the defence of the country’s frozen frontier and placing the call of duty above all. 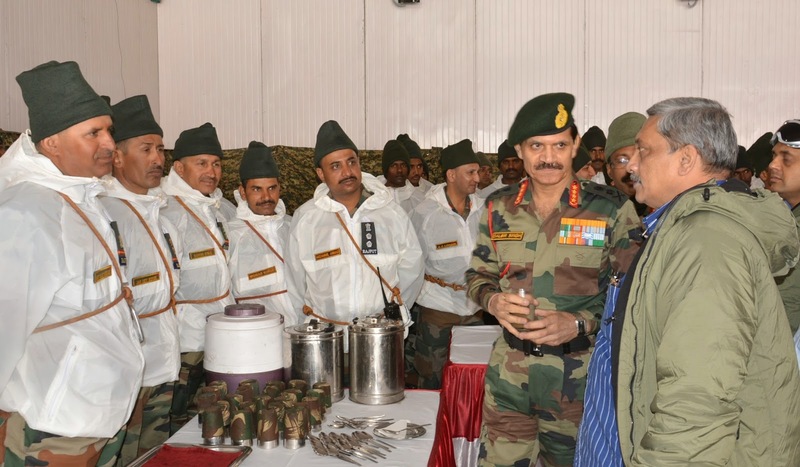 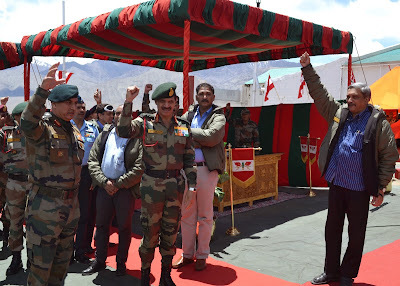 The Raksha Mantri thereafter arrived at Leh and interacted with a soldiers at the Rinchen Auditorium. He was briefed on the prevailing military situation along the borders of Ladakh. The Raksha Mantri will also visit Chinar Corps today evening before proceeding to Jammu Sector tomorrow.